Today we feature the first streamers biggest win compilation for March. Like always we have collected the absolute best slot hits from last week. Moreover, the variation of slot machines is diverse, as is the multiple casino streamers featured. Thus let’s check them all and see which of them was the luckiest. We start with a trip to Finland with Teukka absolutely smashing the Knight’s Life slot. The streamer was playing €5 bets on Dunder casino when he got a wild line on the free spin rounds. Thus a 2110x the stake win, due to the tremendous potential this casino game has. Another lucky Fin was Jarttu who thanks to his usual super high bets took out a hefty €7245 reward from the Eastern Emeralds slot machine. This is just the first of a number of sick base games hits on this big win video. It is always fun for us when we add new streamers on our big win clips. Thus we are excited to feature Spajek and his massive bonus round on Genie Jackpot mega-ways. 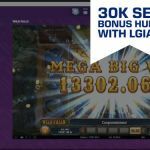 We highly recommend you checking this new slot streamer out. His streams are mostly in Polish. Therefor if you understand Polish, then watching him is a must. Pirates' Plenty is a new slot from Red Tiger which you can find exclusively on LeoVegas casino. Jamjarboy was giving it a try last week, and let’s just say that after his 975x the stake win, we will see more slot streamers trying it. Now we check two good friends and two good slot streamers. I am talking about Spintwix and David Labowsky, both getting incredible slot wins last week. Fist it was Spintwix who got a one hit big win on good old Book of Dead. There is really one way this game can pay you outside the free spins. - Yup it was a 500x the stake line of explorers. In the meantime D-Labs made sure that, even this compilation, includes a super win on Jammin Jars. All in all we have to admit Jammin is, if not the best, one of the all time best casino games out there. We all know that there was no way Nickslot’s win on Primal would be missing from this compilation. Truly a record win which came during some £5 bets on Calzone casino. Moreover, best thing about it is that the win was not even in the bonus round. Just one lucky spin with a lot of tigers. I can already tell that this will be a strong contender for the best win of the year. 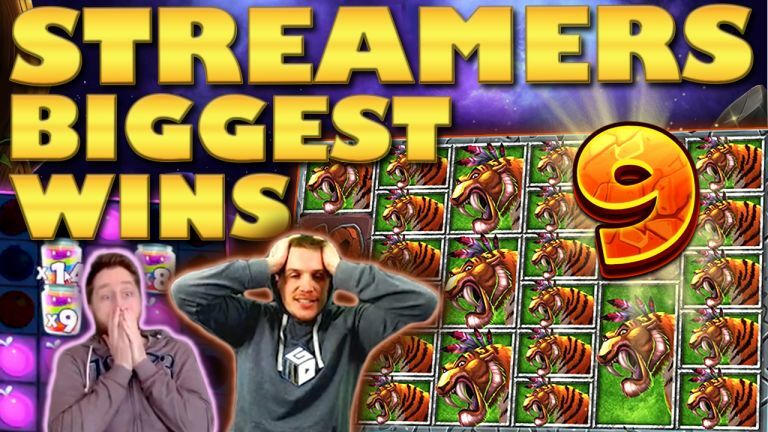 Tell us which win on Casino Streamers Biggest Wins – Week 9 of 2019 was your favorite. Moreover, share your thoughts in the comments. Also, make sure to check our other videos on CasinoGround’s YouTube channel.